Jan Campbell is the Executive Director for Domestic Violence Solutions for Santa Barbara County. She has more than 30 years of experience in leadership and community engagement, with a background in fundraising, grant writing, marketing, and communications. She most recently served as the Chief Philanthropic Officer at the Santa Barbara Foundation. In that position, she oversaw the foundation’s community investment and donor services functions, and together with her team, raised and stewarded hundreds of millions of dollars for the foundation and its initiatives. Jan’s nonprofit experience includes work at the Page Youth Center and Heal the Ocean. She was a management consultant at Bartlett, Pringle and Wolf CPAs, the Vice President of Communications for an internet startup – WebAlg, and was the editor and publisher of the Valley Voice newspaper in Goleta. 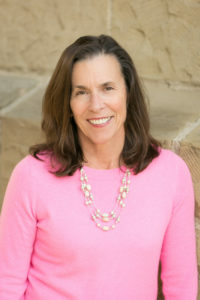 Jan has served on the boards of the UCSB Alumni Association, the UCSB Foundation, Montessori Center School and the Santa Barbara Education foundation. Currently she is a member of the Goleta Chamber of Commerce Board of Directors and the World Telehealth Initiative. She is a member of three women’s funds, the Association of Fundraising Professionals and the Santa Barbara Women’s Political Committee. A proud Gaucho, Jan holds a degree in English Literature from UC Santa Barbara and a certificate in accounting from UCLA. She lives in Santa Barbara with her husband Randy and is the mom of two daughters, Nora and Emma. KC Adornetto has more than 25 years of experience in finance and operations of nonprofits in the Santa Barbara County. She most recently served as the CFO at the Community Action Commission of Santa Barbara County. In that position, she oversaw CAC’s finance, investment, and operations. Additionally, KC grew CAC’s cash reserve to 2.6 million and cultivated numerous relationships with vendors. KC’s nonprofit experience includes Cancer Foundation of Santa Barbara, Santa Barbara Foundation, Alzheimer’s Association of Central CA, Community Action Commission of Santa Barbara County, Santa Barbara Trust for Historic Preservation, and many more. She received her BA from UCLA and her CPA from the state of California. She lives in Santa Barbara with her husband David and is the mom of two daughters, Maelyn and Mya. 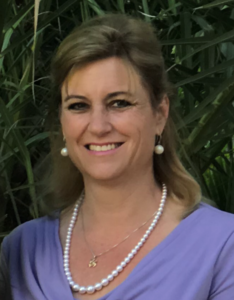 Sandy Delos is the Director of Grants and Evaluation for Domestic Violence Solutions for Santa Barbara County. Sandy has worked in the nonprofit sector for 13 years and has funded millions of grant dollars for social service organizations in Minnesota and Pennsylvania. Among her accomplishments, she represented The Salvation Army Harbor Light, the largest homeless shelter in Minnesota, on the joint City-County Commission to End Homelessness, initiated major partnerships for job training and represented the agency to both state and local government agencies including the state legislature. In Lancaster, Pennsylvania, she successfully wrote capital applications to fund Tec Centro, a ground-breaking $4.5 million bilingual technology training center, created by the Spanish American Civic Association. Sandy holds a BA from Southern Illinois University with a major in economics and minor in journalism and completed all course work and preliminary exams towards a PhD at the University of Minnesota with a primary program in psychology and secondary program in statistics. She is a member of the Association of Professional Fundraisers, the American Psychological Association and the Association for Women in Communications Santa Barbara Chapter where she serves on the Board of Directors. 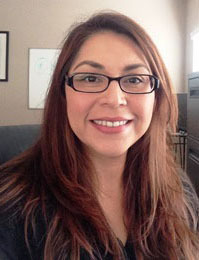 Carolina Najera-Magana is the Clinical Director for Domestic Violence Solutions for Santa Barbara County. Carolina Najera-Magana has worked for DVS for over 8 years over the last 14 years. She earned her B.A in Psychology from UCSB and her M.S in Psychology from Cal Poly San Luis Obispo. She has worked with Domestic Violence victims since 2004, when she began with DVS as a trainee. She was hired on as an intern and became licensed in 2011. During her career she has worked with victims and perpetrators of domestic violence, persistent and severe mentally ill clients, dual diagnosis clients, and sexually offending teens. She is dedicated to her work with domestic violence victims. Wendy Naruse brings over 11 years of experience in human services as a clinician and team leader. She has worked with non-profit and government agencies to include residential programs for women with children who have co-occurring disorders, community programs for persons with severe mental illness, as well as Child Welfare Services and Adult Services in Santa Barbara and San Luis Obispo Counties. She has come to understand that successful programs are made by collaborating with community partners with whom she enjoys building strong relationships to best serve DVS clients. Her years prior to human services were in the banking and tech industries where she learned a great deal about organizational structure, business management, and employee productivity. She now has the privilege to join these two passions into one in an effort to make DVS a great experience for our clients and employees. Wendy is a Southern California native who migrated to the beautiful central coast to continue raising her children 11 years ago. Her education includes a BS in Business Administration and Master’s Degree in Psychology/Organizational Development.